31794 DUMAS (A.D) NO. 1379. 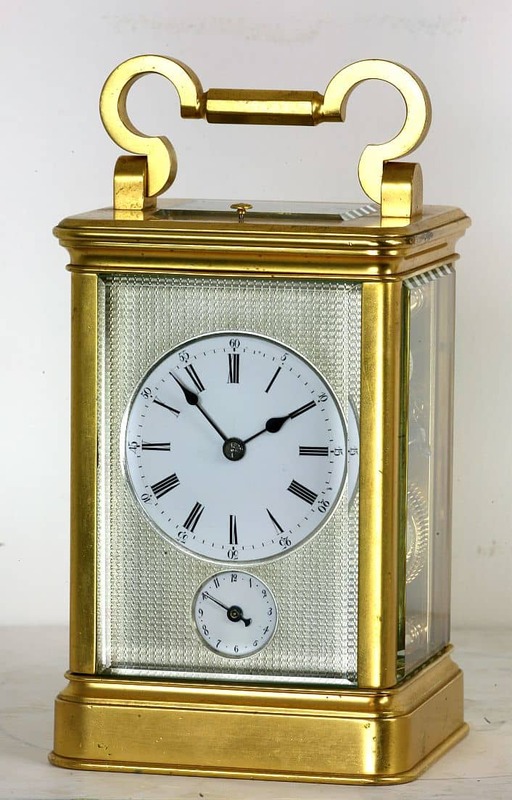 AN IMPRESSIVE FRENCH CARRIAGE CLOCK IN AN ENGLISH STYLE CASE VERY SIMILAR TO THOSE USED BY DENT & McCABE. CIRCA 1870. 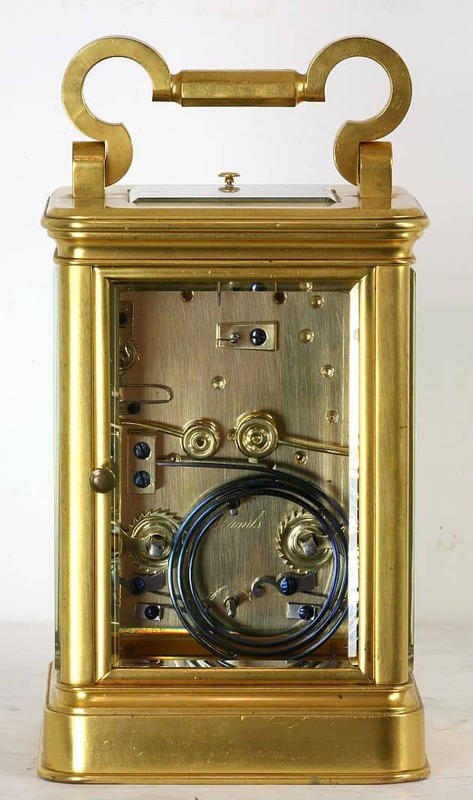 This fine carriage clock has a delicately written circular dial with Roman hour and small Arabic minute numerals beneath which is the alarm dial. Both are surrounded by a well executed engine turned silvered dial. The movement is signed as above on the backplate. 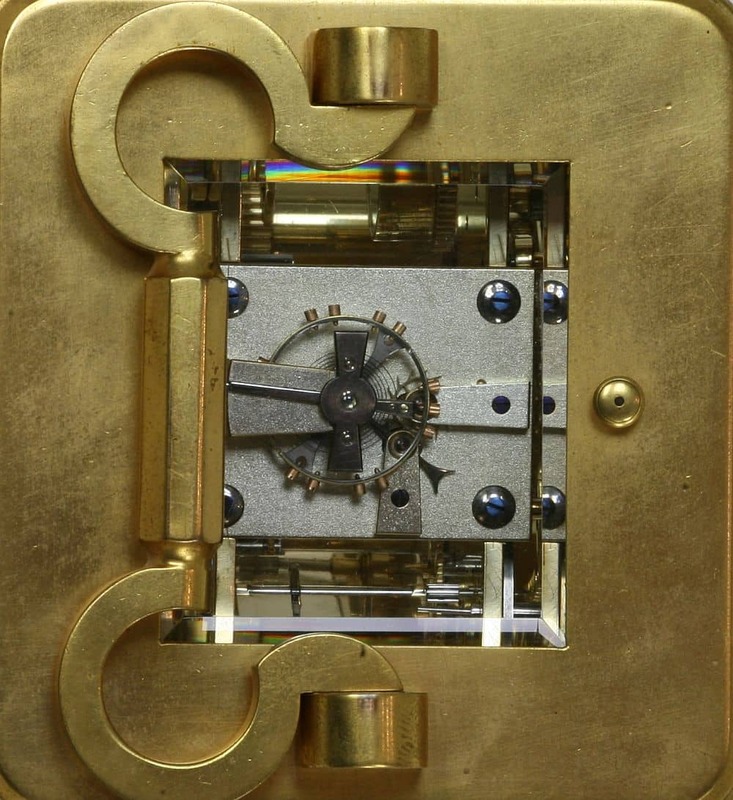 It strikes and repeats on a gong and has a fine quality lever escapement with split bimetallic balance, poising screws, double coquette and silvered platform. 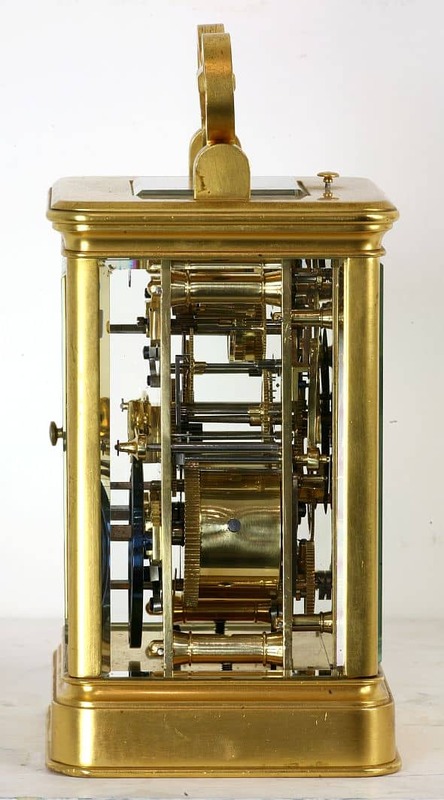 The case is very similar to that of two carriage clocks by Dent & White seen on pages 319 – 321 and one by McCabe on page 294 of ‘Carriage & Other Travelling Clocks’ by Derek Roberts. Height with/without handle: 7″ / 5.5″ (18 / 14 cm).